Before our house was built here there was a history of industry on this site and courtesy of my son there now follows a short history of the site. From medieval times, a corn mill had existed on the site of Melingriffith which served from the late 13th century as the manorial mill of Whitchurch. Leased out by the lords of the manor to a succession of tenants. In 1625, the site was sold to a great land owner, Marmaduke Matthew. However, at the end of the 17th century, Melingriffith (as called when it was a corn mill) was leased out in a state of decay to John Matthew of Splott on the surrender of his father's (Anthony Matthew) lease and on the condition that it was rebuilt and repaired. He also had to keep the flood gates in sound order. At this time, the mill was called Griffiths Mill and for another fifty years ground corn still powered by the water from the Radyr weir and the river Taff In 1715 the tenancy passed from William Mathew to Willam Jenkins of Plas Turton and a new family of millers kept the mill in operation. In the l740s, Rees Powell of Llanharan acquired the lease of Melin Griffith and adapted the site for iron working and set up a forge there. In 1749 Powell granted a 21 year lease to two Staffordshire Ironmasters, Richard Jordan and Francis Humphries of the site with the new forge. 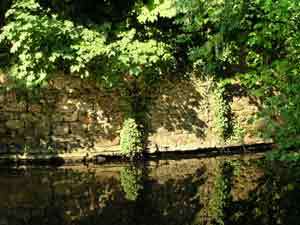 Rees Powell was responsible for the site and he repaired the Radyr weir with a wall of quick lime. 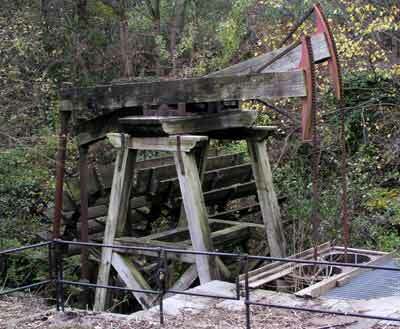 The ironmasters were to keep the mill wheel in repair and were allowed to take timber from Powell's lands. 'They were given permission to erect another forge and by 1760, Metingriffith (as it was called) when it functioned was a noisy operation and Jordan obtained a two-hundred year lease of the site. For the next seven years. Richard Jordan and his sons manufactured forged iron who were in sole charge of the works in 1765 and it was at this time, the tin-plate works was added. From 1765 onwards, the site changed hands between several people for economic and other reasons. In the 17909, the business was expanded and streamlined under the shrewd manager of Richard Blakemore and soon the works was renowned, not only in the British markets but in the Continental and the American markets, and so, the business boomed. 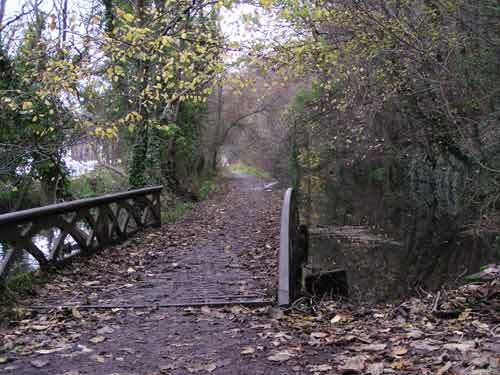 In 1794, the opening of the Glamorganshire canal was a great boost to the Melingriffith. However, the canal company ignored a clause in the canals act which safeguarded the water rights of industries dependent on rivers and diverted water to the canal, leaving Melingriffith with little or no water in the summer months. After several stoppages over the Lack of water in Melingriffith, the canal company were taken to court by the owners of the works, who used, as their representatives, Harford Partridge and company, Richard Blakemore and their successors, who were used to dealing with the canal company. After one of the first disputes of its kind, the canal company agreed to take less water from further upstream and to give the works £700 to build a water wheel to lift water which has been used in the works into the canal. All that is left of the houses. From the 1820s onwards, Blakemore took a less active role in the management of Melingriffith as he became more involved with politics and became a member of parliament of Wens in 1837. Therefore, the works were put into the hands of his nephew, Thomas Booker who proved himself a shrewd business man like his uncle and in 1850, he became a member of Parliament for Hereford. He died in 1858, leaving his three sons and a daughter to inherit the property. His property, the pines in Whitchurch the Pentyrch works and Melingriffith, the latter two being left to the two younger sons. Because of a trade depression in the late 1860s and early 1870s, the works ran into increasing financial difficulties, and in 1872, the Booker partnership was converted into a limited liability company, "Thomas W. Booker & Co. Ltd." After an infusion of new capital and a short boom period in the iron and tin-plate trade, there was a brief period of prosperity. However, there followed a slump and the firm went into liquidation and the Booker connection with the works was severed.